The opioid overdose death toll has been steadily increasing for more than a decade, making it a leading cause of accidental death in the United States. Juliana Zschoche, PharmD, emergency medicine clinical pharmacy specialist at Johns Hopkins Hospital, discusses potential adverse effects associated with naloxone. Juliana Zschoche, PharmD, emergency medicine clinical pharmacy specialist at Johns Hopkins Hospital, discusses how health-system pharmacists can assess patients' risk for opioid overdose. Juliana Zschoche, PharmD, emergency medicine clinical pharmacy specialist at Johns Hopkins Hospital, discusses what pharmacists should tell patients about administering naloxone. Juliana Zschoche, PharmD, emergency medicine clinical pharmacy specialist at Johns Hopkins Hospital, discusses key stakeholders involved in developing and implementing outpatient naloxone policies. How Can Health-System Pharmacists Work with Community Pharmacists to Orient Staff on Naloxone Use? Juliana Zschoche, PharmD, emergency medicine clinical pharmacy specialist at Johns Hopkins Hospital, discusses how health-system and community pharmacists can work together to provide naloxone. How Expensive is Naloxone for Patients? Juliana Zschoche, PharmD, emergency medicine clinical pharmacy specialist at Johns Hopkins Hospital, discusses prices of naloxone products. Although it's difficult to determine exactly how many patients experience opioid-induced constipation, the large quantities of prescribed opioids in circulation create widespread potential for this bothersome adverse effect. Mary M. Bridgeman, PharmD, BCPS, CGP, discusses how pharmacists can help prevent OIC. Mary M. Bridgeman, PharmD, BCPS, CGP, discusses counseling points for OIC patients. Jeffrey Gudin, MD, outlines the steps pharmacists should take to reduce opioid-induced constipation. Mary M. Bridgeman, PharmD, BCPS, CGP, discusses the latest advancements in OIC treatment. Mary M. Bridgeman, PharmD, BCPS, CGP, discusses how pharmacy-based OIC care differs from other settings. Mary M. Bridgeman, PharmD, BCPS, CGP, discusses OTC recommendations for OIC symptoms. Mary M. Bridgeman, PharmD, BCPS, CGP, discusses how often pharmacists work with OIC patients. Jeffrey Gudin, MD, describes the impact of opioid-induced constipation on patients taking opioids. Where Does Fiber Supplementation Fit into OIC Care? Mary M. Bridgeman, PharmD, BCPS, CGP, discusses where fiber supplementation fits into OIC care. 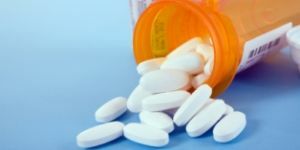 There are many misconceptions surrounding pain management, especially when it comes to opioids with abuse-deterrent properties. How Can You Tell Whether an Opioid Is Abuse-Deterrent? J. David Haddox, DDS, MD, describes how clinicians can determine whether an opioid has abuse-deterrent properties. J. David Haddox, DDS, MD, describes the pharmacist's role in deterring opioid abuse. J. David Haddox, DDS, MD, describes the most common method of opioid abuse. How Many Opioids Have Received ADP Designation on the Basis of Category 1 Studies Alone? J. David Haddox, DDS, MD, corrects a misconception about opioids with abuse-deterrent properties. J. David Haddox, DDS, MD, explains how most nonmedical opioid users obtain the drug.